Serenity is filled with breathtaking synth work, smooth percussion, and huge atmosphere. Every part of the track is filled with little nuances of character. This artist has clearly spent a lot of effort honing his craft, and the result is beautiful. 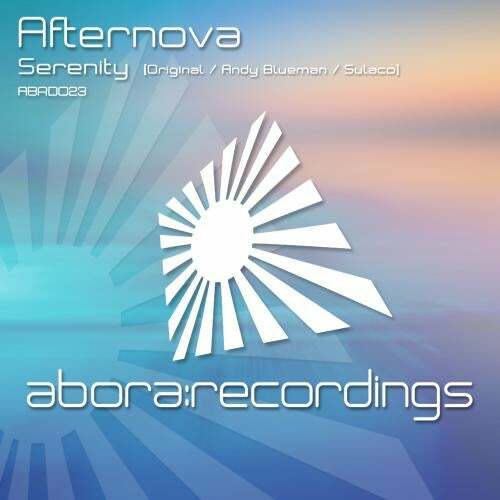 Andy Blueman has pulled off two incredible remixes of this track, with an uplifting high-tempo trance remix and a down-tempo classical interpretation. His passion for trance really shows and every instrument evokes raw emotion. Sulaco pulls no punches as he delivers a solid high-tempo club mix, with a splash of guitar style synth and an uplifting arpeggio pushing this track into the stratosphere.